– why are we called Alcuin? 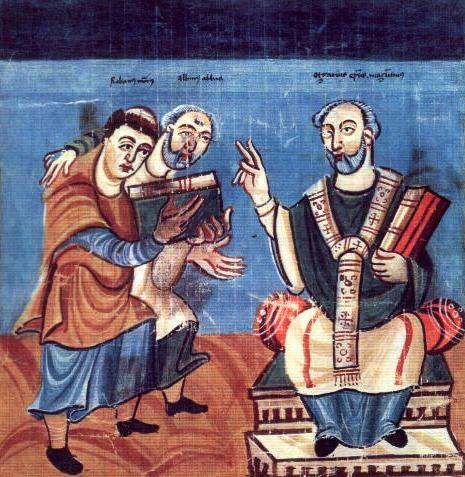 Our name Alcuin comes from an English monk called Alcuin of York. He lived in the 8th century AD and helped to develop small handwritten letters, called minuscules, which were later developed into lowercase letters in printing. Before this all Latin texts were written in uppercase letters. But when small letters started to be used, it became quicker to write texts and they were easier to read. However, the original reason for using lowercase letters was financial; parchment was expensive in the Middle Ages, and using lowercase letters provided space for more letters on the paper. As well as his work on minuscules, which laid the foundation for today’s lowercase letters, Alcuin of York also wrote a number of texts on arithmetic, astronomy and geometry, and had a major influence on the cultural renaissance during the time of Charlemagne. Although we at Alcuin Translations realise that we are not leading any renaissance in translation (even though we would like to), we keep up to date on what is happening in the Swedish language. As translators, we contribute to the development of language every time a text contains a new term that needs an equivalent in Swedish. Being a small translation agency also allows us to work closely with our customers and suppliers. We always strive to produce accurate, clear and user-friendly translations, mostly using small letters.